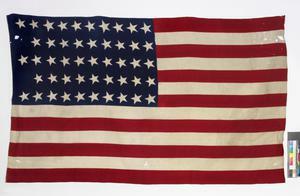 U.S. flag flown from the Hotel de Ville, Paris, on 6 April 1917. One hundred years ago, the Great War became even more global. 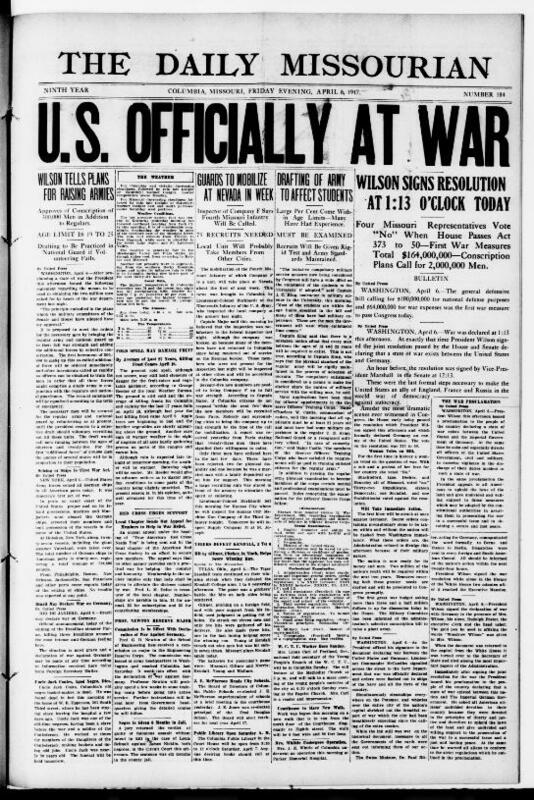 The United States entered the conflict officially with Congress's vote to declare war on Germany, on 6th April, 1917. In recognition of this anniversary for our Ghosts of 1917, I went searching for some digital archival items. Here is an initial assortment; more soon. In the meantime, the Wikipedia article on the U.S. entry into war is commendably thorough in its content and citations. 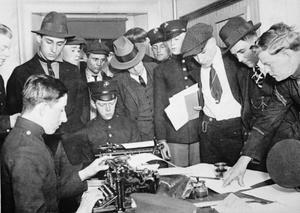 Would-be Marines sign up for service after the declaration of war. 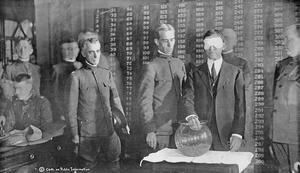 Pacifism was still strong in the United States in this era. "I Didn't Raise My Boy To Be A Soldier" 1915 sheet music cover, with photo of singer Ed. Morton.